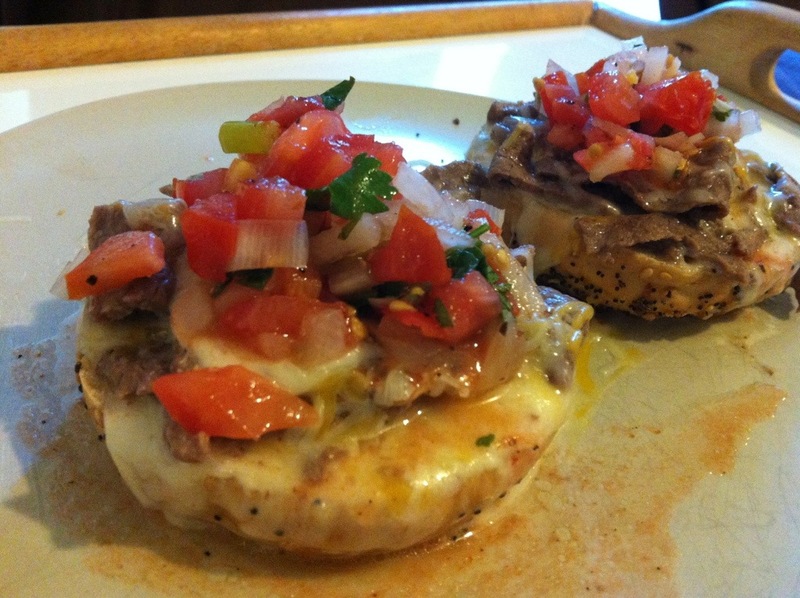 Toasted Everything Bagel with Steak and Cheese topped in a homemade Pico de Gallo. Yummy lunch. Yeah, they are as good as they look. 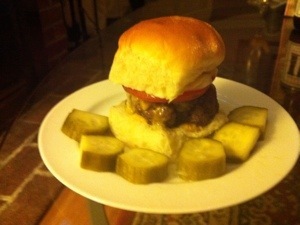 I love meatloaf and often carry the recipe into burger meat too. Why not add in spice, flavor and make it hearty? I had to make these without onions, because my roommate calls those “Funny Business” and wants no part of it. Make sure to add that back in. 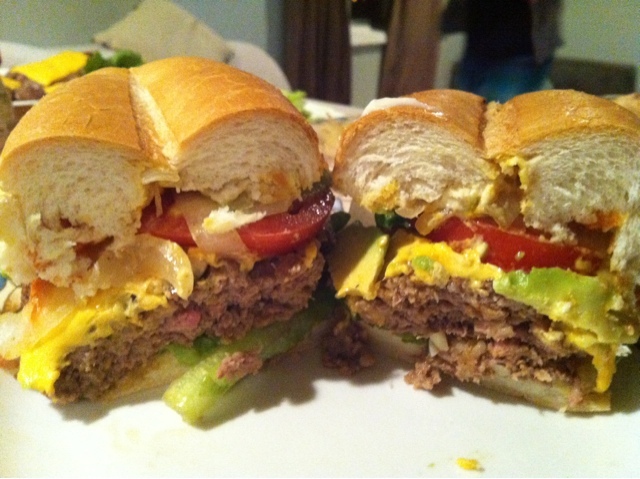 1 pound of meat makes about 4 burgers. 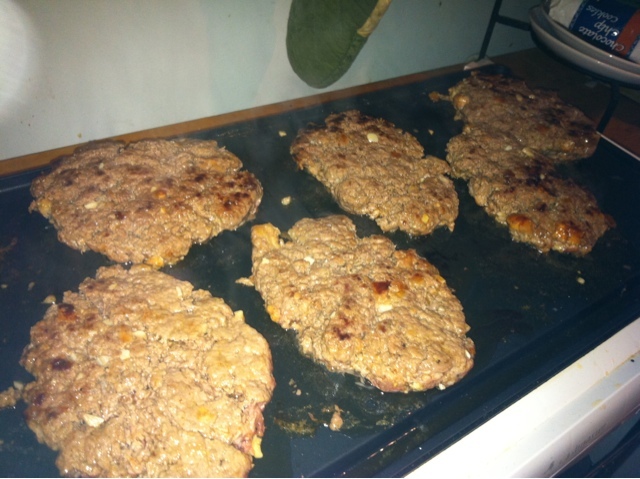 I made 2 pounds and large sandwich size patties, about 7 of them. 1-2 cups of fresh french bread crumbs. I use fresh bread, diced small. Italian Herbs, salt, pepper and cayenne. 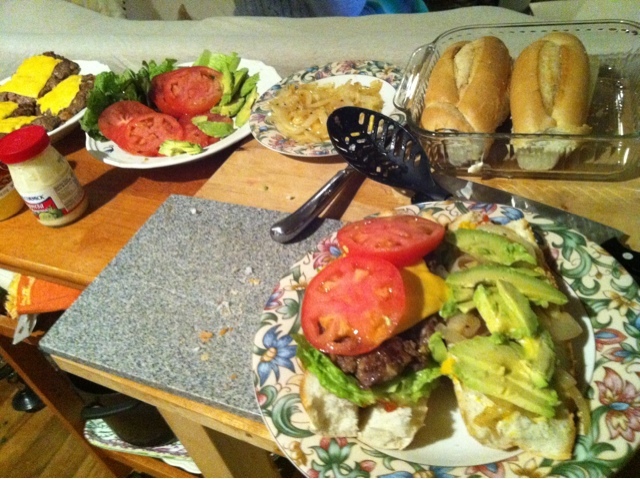 Condiments and French Bread for sandwiches. Mmmmm. Combine all ingredients into a bowl and mix thoroughly. Add bread crumbs until it thickens up a bit. 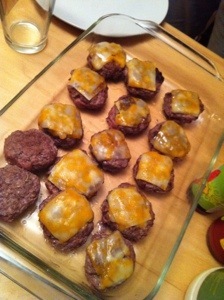 Form patties and get ready for the grill, a frying pan or pyrex over pan. You can grill them on any flat grill or even a BBQ. Cooking thoroughly, then flipping once or twice. They tend too fall apart if flipped too much. You can fry them in a pan too. 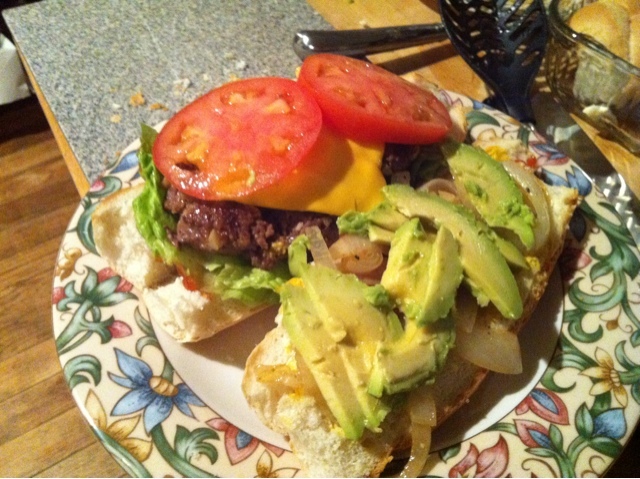 Medium heat and let cook through, I tend to make the burgers long and thick like steak size or portion of meatloaf. Easy to cook in a larger frying pan. You can also place in a pyrex or cooking pan and bake in the oven, making sure to flip in between. Just make sure to have all the extras, tomatoes, lettuce, cheese, condiments and such ready for the meatloaf buffet dinner. That’s what I did and it was DELICIOUS, and cheap. Everything I made here (7 portions) cost me less than $16.